To hear Washington elite politicians (Democrats and Vichy Republicans alike) and their media lapdogs tell it, Special Counsel Robert Mueller is the epitome of integrity. The last Boy Scout. Thomas Moore reincarnate. He who is without sin. The truth, however, is the exact opposite. If anything, Mr. Mueller is a cover-up artist of the first magnitude. A holier-than-thou shyster. A con artist. And a dirty cop. As well as a man who, once convinced of his own irreducible rectitude, will callously go to any extreme to protect his touted “integrity” – even if his icy indifference to the rule of law leaves devastation and death in its wake. Let’s go back to Brentwood, Maryland, in the late summer of 2001 and a case involving the anthrax poisoning of U.S. postal workers. It is a case that falls well below the radar range of most Americans. But it shouldn’t. Because it provides revealing look into the mindset of a man who has convinced himself that he can do no wrong. Even if it means the reprehensible treatment of hundreds of good, decent postal workers. High on the list of those who were most reprehensible was one Robert Swann Mueller III, then in his early days as the Director of the FBI. Mueller had his FBI target Dr. Steven Hatfill as the culprit in the anthrax assault — though by the pious Mr. Mueller’s own admission, there was no direct link from Hatfill to the attacks. Mueller then instructed his minions to spy on, follow, and harass Hatfill for years on end – despite a total lack of legitimate evidence. Sound familiar? Rather than alert the Department of Defense to Hasan’s rantings as was his duty, Mueller – ever the apologist for radical Islam — covered them up. His FBI buried the emails because, according to the Webster report, the FBI saw no evidence of terrorist activities. This, despite the fact that al-Awlaki was on the FBI’s own terrorist watch list! And in any case, Mueller’s FBI decided the information in the e-mails was too sensitive to share because visiting extremist websites – where they routinely expose their rabid ideology — was not grounds for taking action. Nidal Hasan went on to murder 13 “enemy soldiers” at Fort Hood, Texas. Mueller’s terse response to his FBI’s failing to take appropriate actions that could well have spared the soldiers’ lives? “They [his minions] took appropriate steps.” Meaning, none. One would have thought that after his own malfeasance contributed to13 innocent deaths, you might think that even the obtuse Robert Swann would have learned his lesson about soft-peddling Islamic extremist. Well, think again. After exposing Mueller’s patty cake party with the Islamist extremists, Judicial Watch’s Tom Fitton commented, “There is no question that the country is less safe when we allow radical Muslim organizations to tell the FBI how to train its agents and do its job.” And how right he was! Mueller’s training materials purge was in 2012. One year later, two brothers who had slipped under the now eviscerated FBI radar bombed the Boston Marathon. Three years later, other terrorists who had slipped under the FBI radar massacred Christmas partiers in San Bernardino, California. And four years later, yet another terrorist who had slipped under the FBI radar slaughtered scores of partiers at an Orlando, Florida nightclub. Little wonder that, according to this writer’s highly credible inside sources, Robert Mueller is disdained and despised by good, decent, and loyal FBI agents. This is one instance where there actually is honor among thieves – however besmirched that honor may be. Here’s the skinny. In 2010, a Russia state-owned nuclear firm, Rosatom, wanted to buy the Canadian mining company Uranium One. At the time, Uranium One held licenses for about 20 percent of America’s uranium production capacity. Therefore, the sale had to be approved by the members on the Committee on Foreign Investment in the United States (CFIUS). And lo and behold, that committee included Mueller’s fellow Washington insider Then-Secretary of State Hillary Rodham Clinton. Robert Mueller’s FBI had direct knowledge of bribery and racketeering schemes involving Rosatom. Knowledge that would have decisively prevented CFIUS (and the ever-eager Mrs. Clinton) from handing over America’s uranium to the Russians. Yet, he failed to inform CFIUS of the information. Consequently, CFIUS approved the deal. And subsequently Russian uranium interests handed the Clinton Foundation $145 million dollars. All of which raises the very legitimate questions: What did Mueller know and why did he cover it up? Oh, and you might want to add one more question: What could be the ramifications of Mr. Mueller’s connivance in turning over 20 percent of America’s uranium to the Russians? The answer: a crude nuclear bomb containing just 50 or 100 pounds of uranium — about the size of a bag of sugar – could destroy a city, kill hundreds of thousands of people, and send the free world’s economy into shock. Thanks, Bob. Robert Mueller is now conducting a lengthy, costly, and out-of-control inquisition of President Donald Trump (along with anyone he knows or happened to pass on the street). 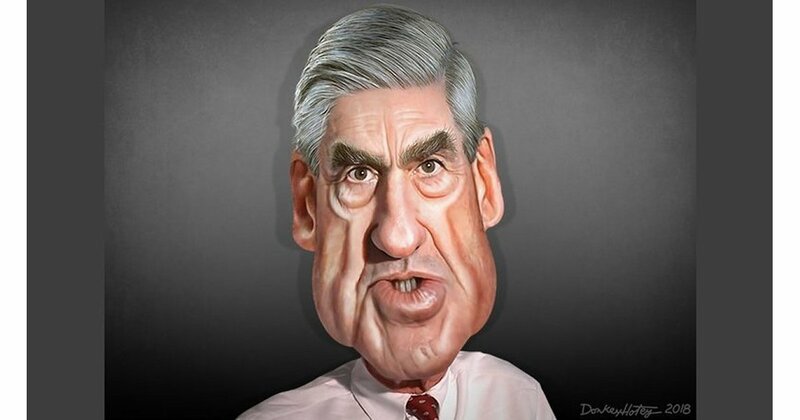 Mueller likely envisions this witch hunt as the crowning achievement of his devious, duplicitous Deep State career. But, before he pins on his merit badge and dons the mantle of a modern Thomas Moore, the American people deserve to be provided a long, hard look at a career of a man whose clear-cut lack of integrity and icy indifference to the rule of law have left a legacy of death, destruction, and shattered lives. Diogenes is the nom de guerre of a highly-placed Washington political operative who dares to tell the unvarnished truth. This article originally appeared in Eagle Action Report and is reprinted with permission of the author.